This is war, not a beauty pageant, do what you have to do to make the sale. You look like you just stepped out of a beauty pageant. Looking like the Kardashians in here. 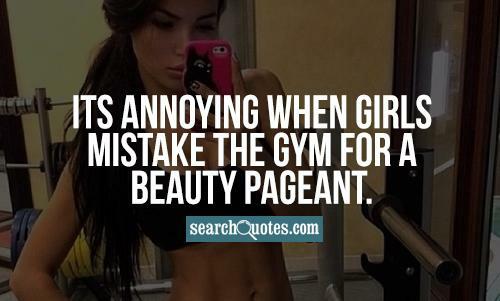 Its annoying when girls mistake the gym for a beauty pageant. 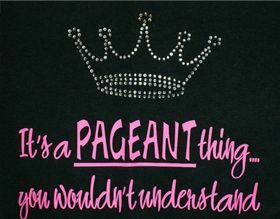 Its high school not a beauty pageant. Stop worrying bout wat you're goin to look like n front of the boys and focus on school. When I fell on the stage ...I believe I stood up for the rest of the women who have fallen whether on or off the stage. I'm not going to be a model for the rest of my life, I want to be a successful businesswoman. I want to be good at everything.